When the Channel Tunnel was built 25 years ago a land border replaced the maritime frontier, linking an island to a continent 100 meters below the sea level. But England is still well and truly an island. This is the fundamental paradox of the Tunnel. 21 million passengers cross this border yearly: 2.5 million cars, 1.6 million lorries, thousands of high speed (Eurostar) and rail freight trains. This infrastructure that has not impacted the environment in through its electrically powered shuttle model has enabled the economy to save one billion tonnes of CO2 emissions since opening. And the creation of value by the Channel Tunnel, the "fixed link" according to its precise terminology has been quantified in a study : €115 billion in merchandise traded per year, i.e. 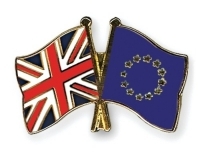 one quarter of the trade between the continental countries of the European Union and the UK. Trade transiting via the Tunnel helps support 250,000 jobs on either side of the Channel in all sectors. These flows are more significant in the direction from the continent to the UK than the opposite way round. Some people on the continent deduce from this that the balance of power is favourable to them. The British depend on products that they import, hence we would have the power to blockade. But this is wrong! In fact, European businesses, farmers, manufacturers, SMEs and major German, French, Dutch, Spanish and Italian companies and groups would lose more in turnover and trade balance if the border lost its fluidity that has been created thanks to the rolling motorway that runs through the Tunnel. Maintaining the Tunnel's continuous traffic flow is one of the major Brexit's challenges. Our teams are working daily towards its upkeep and its enhancement but this issue relies on political will and the implementation of new Information Technology solutions. It is important to be able to gauge what these are. The first of these is the "just-in-time" logistical chains: transporting parts to supply factories 24/24, non-stop, with a shuttle departing every 8 minutes. The entire automotive chain enjoys the benefits of this vital link. For example, the Toyota assembly lines in England use suspension kits that come from Germany, bumpers from France and Germany, mufflers and exhaust pipes from the Netherlands, seat belts from Hungary and wheels from Spain. Nearly 40% of the parts going to English automotive assembly lines are imported from Germany. New vehicles are then dispatched across all over Europe. The second flow involves express deliveries. On-line trading companies (like Amazon) make urgent dispatches in an extremely competitive environment. Clients have often paid for a "Next Day Delivery". These flows are different from the others because of the quantity of packages and the precise nature of the deliveries. Hence, one lorry can transport 8 to 10,000 small packages that can contain several different types of goods. On some days one million of these pass via the Tunnel! A million urgent packages, destined for impatient consumers. Fresh products make up the third category. Since the opening of the Channel Tunnel in 1994, the UK has become accustomed to a constant supply of fresh, cheap agricultural products! Freshly picked strawberries one day are delivered to the markets in London the next day at dawn. Fruit and vegetables from southern Europe - Spain, Italy, France - dairy products from the Hauts-de-France, vegetables and flowers from the Netherlands. Not forgetting fish import/exports from Boulogne-sur-Mer, Europe's leading canning port (where salmon caught in Scotland is processed via express transport). The countries exporting the most value via the tunnel are - after the UK - Germany, followed by the Netherlands, France, Spain, Italy and Poland. This rolling motorway, unique in the world, guarantees them delivery to factories functioning 24/24, every few minutes so that they can fulfil their delivery commitments according to half-hourly time slots. In the summer of 2015 migratory pressure disrupted the shuttle's departures. This is now behind us thanks to the decisions made by the French and British governments and to the investments made. Now the tunnel is secure against the migratory flow, a relief to all professionals in the sector on both sides of the Channel. But the disruption that lasted several weeks in the summer of 2015 provided an important case study into the impact on Europe of disruption to supply chains. In just a few days lorries at a standstill blocked the motor- ways on both sides of the Channel and their cargoes were spoilt; destination factories were brought to a standstill because of parts shortages; shops were no longer supplied with fresh produce and consumers could not get express deliveries. The SMEs which supplied these factories, as well as the logistics companies suffered losses right across Europe and some had to lay off some of their workforce. The ecological impact of these disruptions was major: alternative emergency routes to deliver merchandise - mainly freight cargo - were 99 times more polluting than transport via the Tunnel. The unique border at the Channel Tunnel must remain "frictionless", says the British Prime Minster and this, despite Brexit. Brexit should not, a priori, have any impact on travel procedures as far as people are concerned. The UK has never been part of the Schengen area and even outside of the European Union travellers will continue to enjoy the protection of the Treaty of Canterbury, signed by Queen Elizabeth II and President Mitterrand in 1986. This treaty commits the two States to providing fluid traffic movement through to the provision of juxtaposed border controls. Travellers taking the Eurostar or the Shuttle know what this means: they are controlled by the French border police, then directly by the UK Border Force in their departure terminal. On arrival the 900 Eurostar passengers, or the vehicles on the Shuttle, have no need to show their papers. They simply drive straight onto the motorway or head for the metro. These are the juxtaposed controls that allow Eurostar and Eurotunnel to provide exceptional journey times compared to other international transport outside of the Schengen area. This principle that is set out in the highest legal document contracted between two nations, a treaty between two heads of State, is remarkable because of its innovation, its creativity and due to its creation of value. It also applies to freight transport. Juxtaposed controls are vital to the industrial value chain but also for the security of this traffic. Several conditions have to be met for true "frictionless" borders. The challenge in the various border controls is to avoid additional stops for lorries. This can be done by dematerialisation or by undertaking all of the procedures that there might be outside of the crossing point. This is critical for economic reasons, but also because the stops, queues and delays are moments when migratory pressure becomes the most evident. Much has been done in this sense. Automatic number plate recognition has enabled through driving at toll gates for many years. More recently, an innovative programme piloted with the authorities would allow drivers who sign up to the system, not to stop at each crossing for their ID check - 80% of drivers use the Channel Tunnel at least once a week. In 2015, Eurotunnel also invested several € million so that enhanced migratory controls were made more effective for the authorities in charge, whilst retaining the same lead time for freight clients. From a control of two lorries at a time, we have moved on to six by six, increasing the number of gatehouses, lanes available and the staff in charge of the controls. All of these investments on the "lead time" have been achieved in a timely manner over the last ten years. This will make the future Brexit transition more manageable! As far as the introduction of customs duties is concerned, the devil lies in the detail. Here is an example: a lorry delivering goods via express transport can take up to 8,000 small packages on board. Each small package can contain up to 2 or 3 different types of merchandise, i.e. a potential 10 to 30,000 different objects in one single lorry. Each of these objects has been sold by the trader with the commitment to make an express (next day) delivery and sometimes within a precise time slot of half an hour. For this flow, which has an economic value of €12 billion per year, it would be unrealistic to undertake physical customs or tariff controls. It is vital that controls of the merchandise on one lorry do not block those arriving later since other merchandise would suffer the same fate and after that an entire industrial sector could be compromised. However, I am confident that collectively the transport industry of which we are a part and the authorities will succeed in building a smart dematerialised customs control system, based on technological solutions. I am reassured when I hear British government representatives say that they will place no constraints that could block the "frictionless" principle. Now I really hope that the same principle will be asserted on the European side which has as much if not more to gain from the competitiveness of this unique trade route. One detail must be taken on board in the establishment of dematerialised, digitised controls - which is the time needed for implementation. An IT system is like a brick wall, each brick comes after the other, neatly, taking time to check levels otherwise the wall would never be straight. At Eurotunnel, we are building a unique central cloud for all rail, road and individual client data, which will be open on a controlled basis to partners, customers and stakeholders. Its foundations are strong. We have been working on this enhancement to traffic flow since 2012 and its roadmap extends beyond 2020. Brick after brick, the system is being completed. Sometimes several months go by without customers noticing any difference, but on a regular basis new functionality is being provided: our customers have gained vital and more detailed traffic flow information. The same will apply to our future European smart border. Gradually the two customs regimes, British and European, will communicate together. These sovereign systems will interface with the customers who transport merchandise for themselves and for third parties. Payment systems will also interface, as well as tax declarations. In the same way that the French tax administration has done in the last ten years, as it has integrated data from tax declarations from other administrations - we shall then have an extremely competitive tool to face the outside world. The potential impact of a border that we might qualify as retrograde, would go well beyond the Channel Tunnel and its own customers and even the economies of Kent and Hauts-de-France. It would affect thousands of companies that trade with and operate within the UK. It would also be a challenge to security for Europe, given the present challenge of migratory pressure. It would therefore affect what we all want for Europe: peace and prosperity. For nearly a quarter of a century the Channel Tunnel "fixed link" has provided reliability and regularity to the economic exchanges between the continent and the UK. It has transformed what initially was a binational network of tourist and cultural interests into a powerful artery irrigating trade across the UK and the whole continent of Europe. The new rolling motorway created by the construction of the Channel Tunnel will survive well after the Brexit. Economic exchanges representing thousands of jobs depend on the way maintaining "frictionless" traffic flow. A share of our continent's vitality depends on it.